A solid pewter cross with embossed Celtic knotwork design. St Petroc was an outstanding British Celtic saint. His name survives in placenames in Wales, Somerset, Devon, Brittany and Cornwall. Born in Wales he migrated to the Camel estuary of Cornwall,where Padstow became the centre of his missionary activities. His relics are housed in Bodmin. 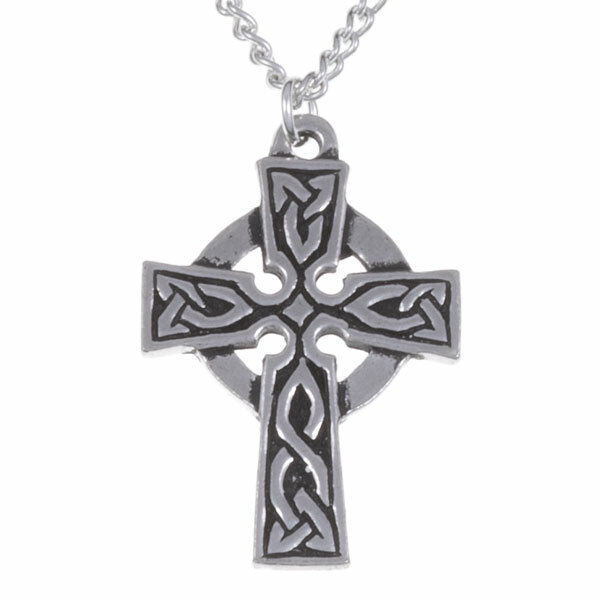 The St Petroc Cross measures approx 3 CM x 2 CM and hangs on a tin plated or surgical steel curb chain 45 CM. Packaged in a satin and velvet lined gift box.